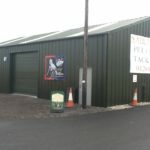 The family name Purslow has been associated with providing quality high-end motors to Hampshire and surrounding areas for over twenty-five years. 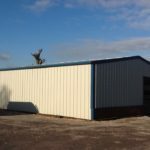 When Tim Purslow and fellow director Rory Davidson wanted to open a used Mercedes Benz dealership located in Nately Scures, between Basingstoke and Hook, they both knew immediately that first impressions were immensely important. 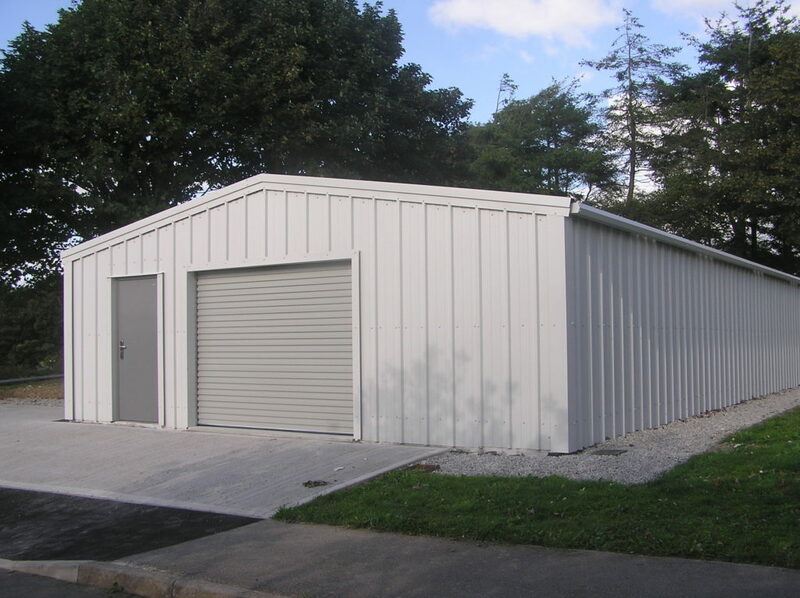 Situated within 4½ acres of attractive buildings and surroundings, the dealership required a custom built design to compliment the area and offer a practical answer to the business requirements. 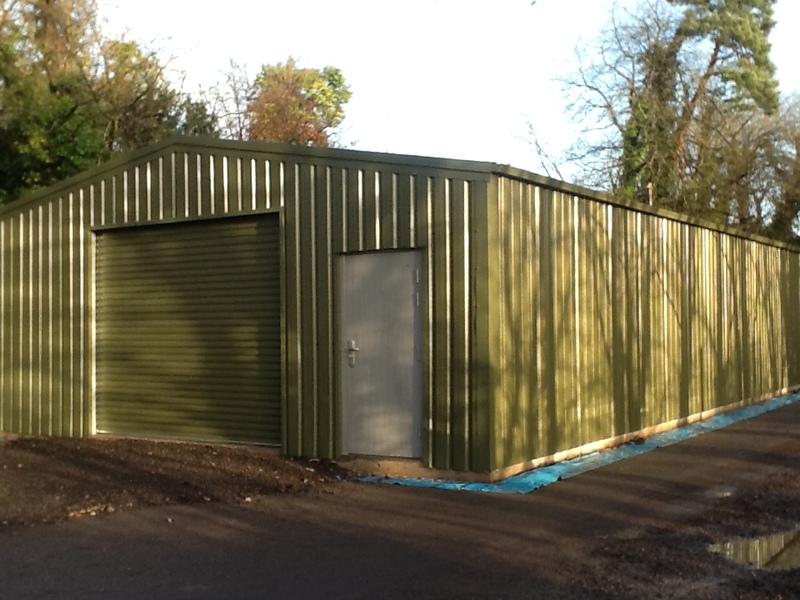 West Country Buildings were invited to create a stylish and feasible solution to meet all their needs. 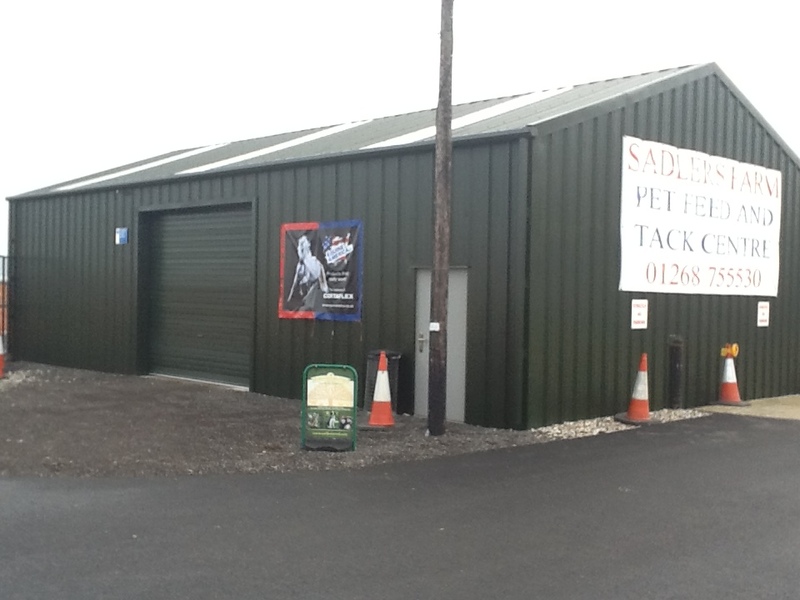 Based in an area that’s rich in appealing barn conversions and attractive equestrian establishments, meant that the building choice for the project was crucial to complement the immediate area and also, to communicate the quality of the dealership. 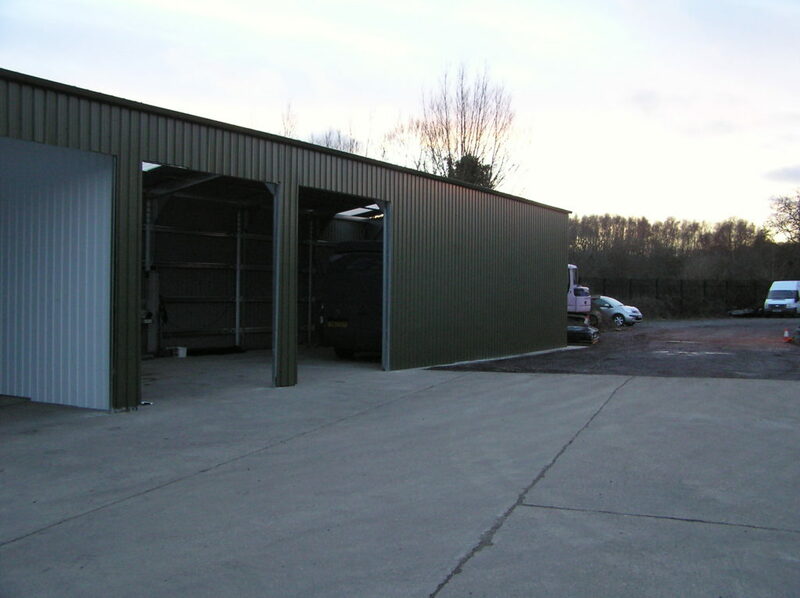 The dealership project required one building to contain the show room facilities and ultimately the immaculate cars. 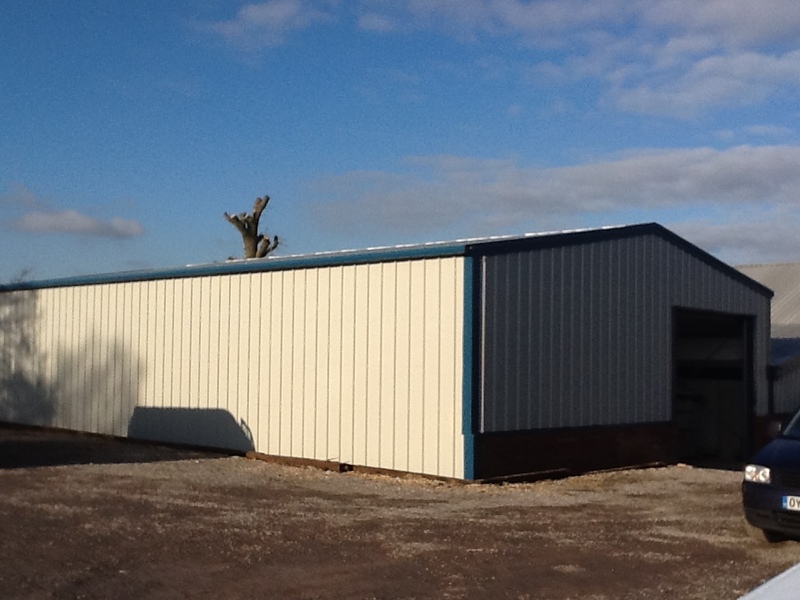 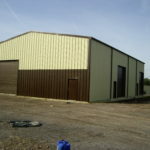 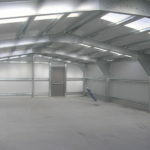 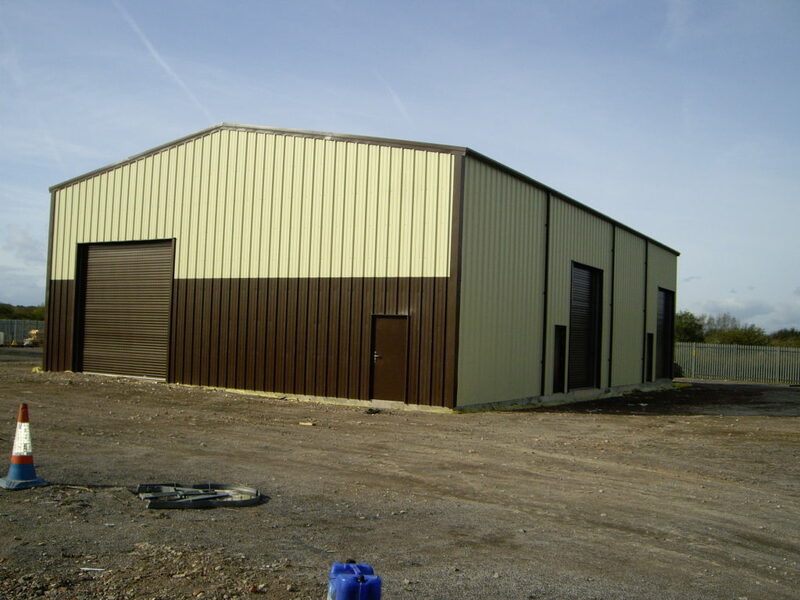 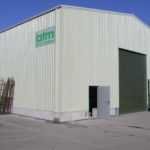 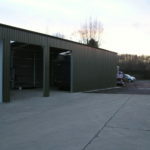 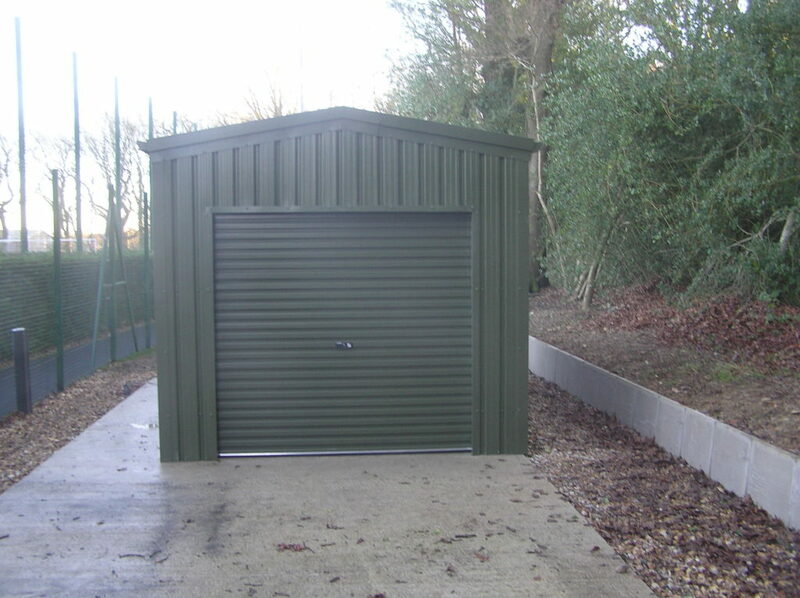 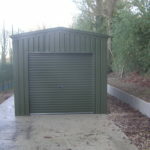 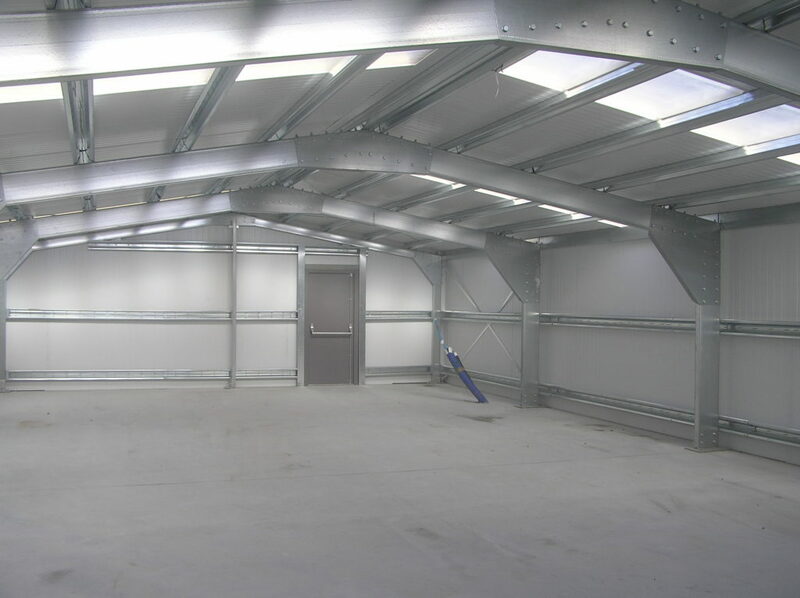 The open ended West Country outdoor steel building was designed with these features in mind. 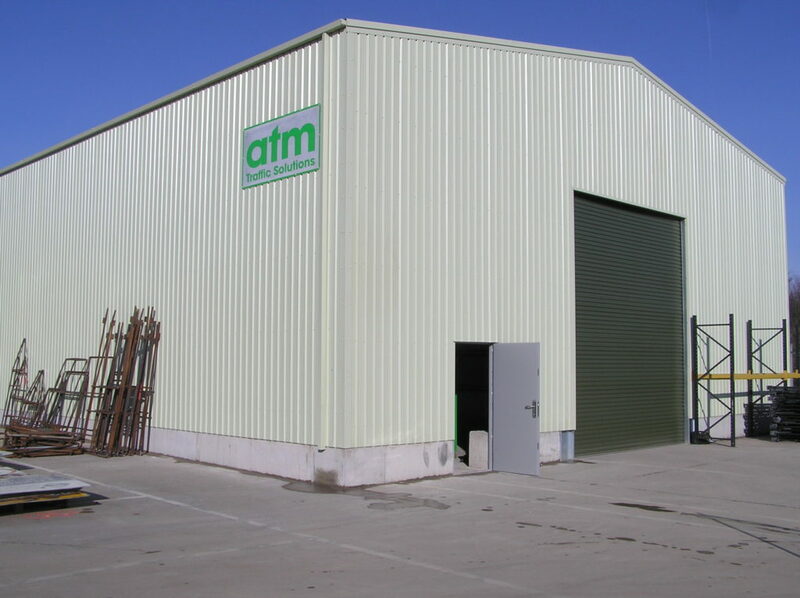 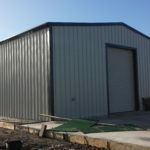 Constructed with a cold rolled steel galvanised sectional framework and with 40mm thick Posco/Plastisol coated steel composite panels and roofing. 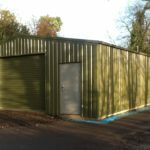 A specialist sleek black external finish was also applied to create the final highly functional and aesthetically pleasing design. 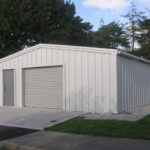 It quickly became apparent that one show room was not going to be enough, and West Country Buildings were again enlisted with creating a custom made show room design to match the design of the original project, but with additional requirements. 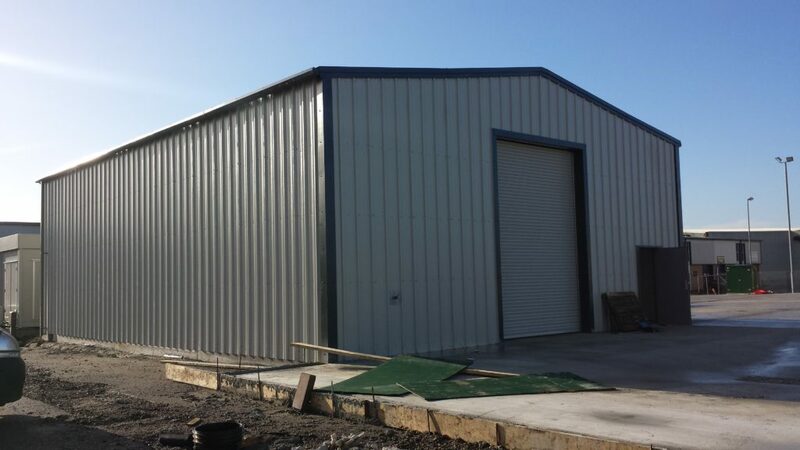 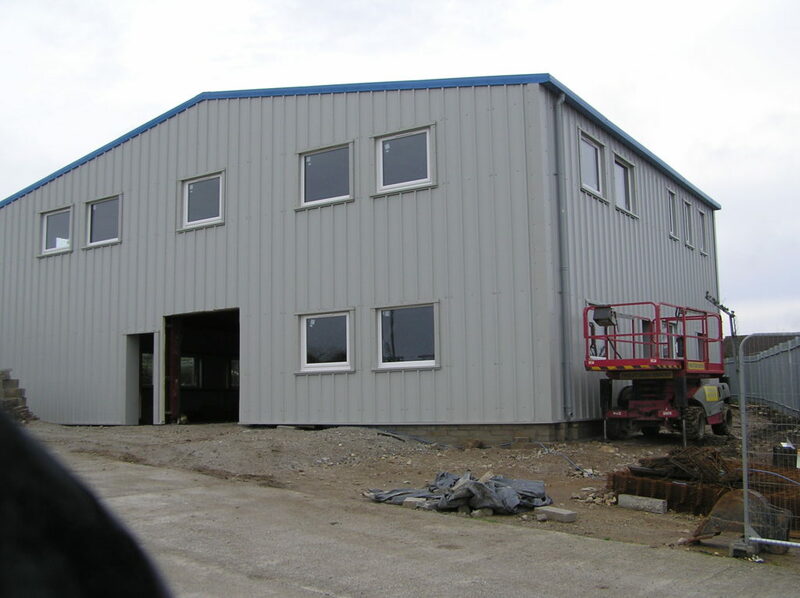 This time, the West Country Steel constructed building specification included increased wall and roof thickness, four uPVC double glazed windows and three roller doors to be fitted. 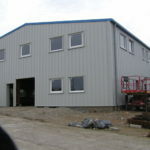 Again a matching sleek black external finish was applied to the building and windows.